Our school, which started its journey in 1995 as a primary school is offering an alternative learning environment to the students and teachers with its unique education model that internalizes the learning processes and improves the abilities/skills. It raises modern individuals who are academically successful, lifelong learners, responsible and have ethical and esthetic values. 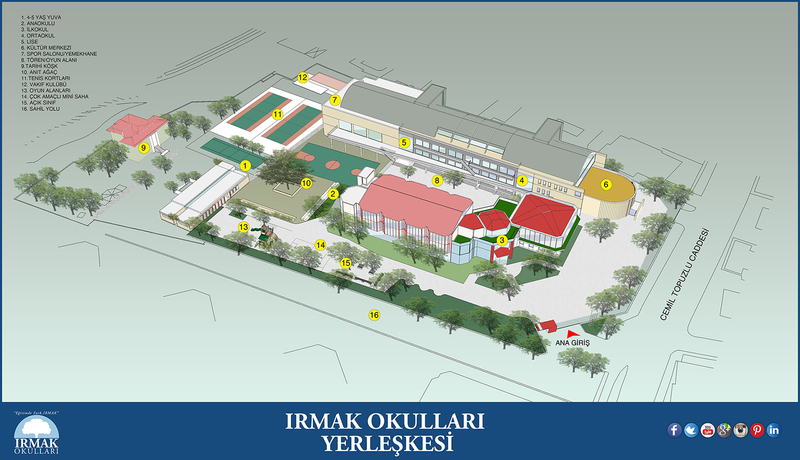 Irmak Schools offers a holistic education starting from kindergarten through to high school. This school is an institution that not only offers learning environment just for the levels of the students, but for the upcoming levels, university and finally for life and has all of its schools in one campus. English language teaching is very important for our kindergarten and we have a bilingual education programme. The students who have just been introduced to English have English lessons by our experienced and qualified teachers where they can express themselves in daily life using English while being attracted to language learning utilizing appropriate pedagogical approaches. We also pay attention to the development of the first language in English education. Our programme is play and inquiry-based. We have play times in and outside the class to support students’ social and emotional development. In addition to this, the well-planned games designed for our educational achievements are also an inseparable part of our lessons. Our primary school is accredited to implement the PYP, namely the Preliminary Years Program of the International Baccalaureate Organization, since May 14, 2008. It has been implementing the PYP Programme and MEB curriculum together. The aim of the Primary Years Programme is to raise qualified individuals, who are curious, inquirer, communicator, curious, thinker, risk taker, sensitive and have learnt how to learn by teaching them about international mindedness. Our academic curriculum of world standards supports student’s individual differences with respect to the method and technique we are using. The individual progress of each student in every subject is followed in our secondary school. Learning is seen as a progress in our school which constructs its programs by considering that each student is different and unique and every corner of this school is an opportunity to learn. The classrooms are also designed with differentiated learning activities so that they allow students who have different learning styles and pace to use their potential at the maximum level. 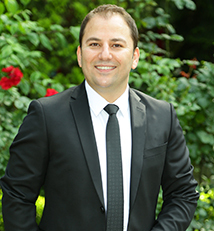 Irmak Secondary School is also assertive in the success of the central examinations. With all the curriculums prepared vertically and horizontally, a systematic preparation from 5th grade is conducted as having the awareness that we can’t limit the preparation for the exams just to 8th grade. Students who are in the top 1% of the central exam at the end of 8th grade decide to continue to Irmak High School to be a part of our constantly improving and enriching programme. International programs and differentiated academic environment in the high school enable students to achieve their goals. Our graduates always go to Turkeys’ and the worlds’ most distinguished universities. Lesson curriculums that are based on developing intellectual and critical thinking in each student and enriched by Irmak achievements are constructed by processing the data, transferring it between the disciplines, making connections and improving international mindedness. The AP Programme that we have in our high school is based on the US international curriculum that has been used all over the world. Our school was accredited in 2014 by the American College Board and was qualified to have Advanced Placement Program which is implemented and used in more than 60 countries. It has important advantages in overseas universities acceptances and course accreditation. AP Programme also offers students the opportunity to be exempted from the classes that they had in high school in the university, completing the lesson credits and finding scholarships in universities such as Sabancı, Koç, Özyeğin in Turkey. The academic, social and intellectual development of the students are supported by trips and activities which overlap with curriculum achievements, club activities that address many students with different interests and abilities, sports activities held in and outside of the school and cultural and artistic activities. Students are encouraged to try each activity to explore and improve their interests and abilities. Assessment and evaluation in the academic development process is done in a very systematic way in Irmak Schools. In addition to classic tests designed according to the curriculum in every level, the results of practice tests, evaluation tests and subject practice tests are reported by the Assessment and Evaluation Department. The results of each student’s exams are evaluated in the exam evaluation meeting of the departments and the process continues with individual feedback to the students. Irmak High School is also assertive in having students in outstanding universities. With all the curriculums prepared vertically and horizontally, a systematic preparation from 9th grade on is conducted as having the awareness that we can’t limit the preparation for the exams just to 12th grade. At the end of the process, our students get accepted to the distinguished universities in Turkey such as Boğaziçi, ODTÜ, Sabancı University, Koç, ITU etc. Students who choose to study abroad are also offered opportunities to reach their goals such as the international programmes we have, individualized academic programmes, social responsibility projects, sports activities and our effective counseling system. Private Irmak High School is proud of its graduates who have been accepted to the most outstanding universities around the world such as MIT, Columbia, the Sorbonne, McGill, King’s College and San Diego. Irmak students, teachers, administrators and parents, the entire Irmak family are a part of the Irmak culture. The Irmak family, who always act sensibly in every social responsibility issues, always raise awareness with its unique cooperation. As Irmak Schools, we are committed to follow education programmes, methods and techniques necessary for the 21st century students with the awareness of responsibility we have by following the path of Atatürk Principles and Revolutions for 24 years. This page was created on 10.8.2018 13:51:25 and has been visited 848 times.